Share your experience with Norkal Construction. I have used Norkal for a couple of small projects upon my return to my house in Columbia and was struck by Mr. Vassell’s attention to detail and ability to develop creative workarounds to address seemingly unsalvageable issues. One project involved installing an Amazon Key apparatus on an aging door which needed to be replaced. Because I needed the lock installed immediately, he worked diligently to do the installation. He also made follow up inquiries to make sure everything was working as intended. I needed someone to do repair work to the framing around two doors as well as water damage to my bathroom walls in the basement. I received an estimate in a very timely manner and the work began immediately thereafter. I am very satisfied with the timeliness and professionalism, as well as the quality of work and the fact that they were willing to accommodate my schedule. I most appreciated the fact that they worked over and beyond to complete the work on time. I would definitely recommend NorKal Construction, LLC to anyone having small or large projects who need a reliable company to do the work. In less than 24 hours of my request Mr. Vassal was able to complete Outstanding work at my house. Norkal Construction installed an inner dividing door to my basement. During the job, I noticed Mr. Norris checking every detail for perfection and he did just that! The door looks Outstandingly Perfect. Plus, he cleaned the area when he finished the job. If you need a carpenter who cares about his work, has excellent customer service skills, and one who can get the job done accurately, call on Norkal Construction. They work with PERFECTION! Norkal Construction did a complete renovation of my basement. Using my design Mr. Vassell paid attention to my details. My design consist of a separate apartment 2 bedroom, bathroom, kitchen and a living room. The demolition of the entire basement down to the studs and created a new living space with new plumbing, electrical and heating. He helped source all of the new appliances and finishes through his vendors for the entire remodel which can be a handful if you haven’t done it before. All the work performed throughout the project is of the high standard and I enjoyed working with him and all of his sub-contractors. I also really appreciated how hard they all worked towards keeping the project on schedule and within my budget. He far exceeded all of my expectations and would immediately turn to Norkal Construction if I were to have any additional renovation needs. I too have used Norkal services for repair work inside and outside my home and did appreciate the ease of scheduling and the on time completion of the repairs. Based on my satisfaction, I strongly recommend Norkal Construction for home repairs and improvement. “I have used the services of Norkal Construction on several occasions, for home and rental property maintenance and repair. Services rendered included; interior painting, dry wall repair and restoration, kitchen cabinet modification, and various exterior repairs . In all projects undertaken, the company has provided professional, timely and efficient services, at a cost effective rate. Furthermore, the deliver superior craftsmanship”. “Mr. Vassell and his team have completed several projects for us, one was a pretty extensive basement build out. We unreservadily recommend Norkal Construction. They are a veryprofessional outfit, from start to finish. Mr. Vassell left no questions unanswered, and kept us aprised of all developments. There were no surprises and we were very happy with the end result. We have had so many compliments from visitors to our home which provided all the confirmation necessary of a job well done. “I have been a client of NorKal Construction, LLC for some time now, and I have always had extremely positive experiences with the management and operation of this company. Mr. Vassell, the proprietor of NorKal, has always been extremely professional with me and is well versed with detailed knowledge of the housing industry, which allows him to have smart discussions with you the client and to provide the most appropriate and affordable solution(s) for any project you wish to have done. I, personally, have experienced that no job is too large nor too small for NorKal and you can expect the same level of professionalism as I have received. Most recently, there was some fire damages to my home that was centralized mostly to the dining room, but was extended to other parts of the house to include the living room. The Ceiling, cedar-wood walls, windows, doors and carpeting had to be removed and replaced. I reached out to Mr. Valssell to schedule an on-site visit to assessed the damages and an appointment was made for that same week. Upon his arrival, he assessed the damages, then sat down with me to discuss my – not his – expectations with the promised to have a written proposal within 24 – 48 hours detailing the work plan to include materials needed, estimated costs and an estimated time frame for the completion of the project, which I found to be quite reasonable. I received the proposal as promised for my review and to ask questions before giving my approval to proceed with the project. For each phase of the project, Mr. Vassell kept me apprised: the purchasing of required materials, the removal of the damaged materials, the replacement and installation of the new materials and the cosmetic aspects leading to the completion of the project, and with each phase I was impressed with the work, especially how he was able to match the partially damaged 40-year old cedar wood wall, whereby there was hardly any major difference noticed. I have been a long- time client of Norkal Construction. Mr. Vassell has a great depth of knowledge and experience in construction and remodeling , these qualities are evident in his work. He is extremely helpful in offering suggestions for your home projects and I like the fact that he pays close attention to minute details. Norris Vassell, owner of Norkal Construction transformed an unfinished basement, staircase, and other incomplete areas of my home into beautiful living spaces; his added creative touches and suggestions produced a classy final home interior. The company completed the projects in a timely manner and as scheduled. Although, additional requests were made during the project, Mr. Vassell maintained a calm demeanor throughout the entire project to satisfy the homeowner’s change orders. I would be happy to utilize his craftsmanship again and also recommend him to work on similar home improvement projects. “I have retained Norris Vassell and his firm, Norkal Construction, several times. I find now that whenever I have a job, Norris is the first contractor I consult and that I seek out other consultants only if Norris is too busy for a particular job. There are a number of reasons why I go first to Norris. While of course a quote for work is understood to be an estimate, Norris’s jobs come in on, or near, the amount quoted in almost every case, with the natural exception of hidden defects that increase work and materials required for a job. Projects are completed fast and, what I find is partially rare among contractors, with remarkably little mess. The workmanship is of a high quality. Indeed, Norris is a bit of a perfectionist and on occasion I found he performed additional work not quoted – and not charged – because he felt it made the project complete. One can scarcely complain about that! In sum, I have found that Norris is the very model of a professional and highly competent contractor. On a personal level he is charming, affable and easy with which to work. Those attribute make project easier. He also is always ready with sensible design suggestions that save money on projects and enhance the aesthetic of the finished work. In a world of business in which give acceptable service Norris and Norkal Construction really stands out. I highly recommend them”. “Norkal Consruction is an extremely professional and dependable company. The work you’re asking to be done is analyzed by Mr. Vassell to ensure that nothing required of that work is missed. Norkal Construction is very timely in the performance of the work in question and Mr. Vassell will keep you informed of the progress that is being made or if he foresees other problems that may occur. As compared to my past experiences with previous renovation companies, I believe that this company is an honorable, trustworthy, and reliable company. Mr. Vassell is someone who you will be able to speak to and you will be comfortable with in asking for the work you need done without feeling that you’re going to be ripped-off. He will discuss several options with you, if needed, keeping you informed of the various steps needed to complete the work. Mr. Vassell will also ensure that the work of his employee’s are doing the best job for your benefits. He will also make sure that the performance of his work is within the means of the law, if required. I use this company on a regular basis for all of my properties. No job too small, no job too hard! 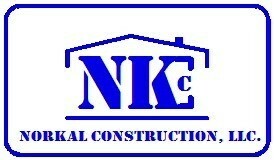 I think you will be a satisfied customer using Norkal Construction”. “Mr Norris Vassell and his Norkal Construction Company — A subject Matter Expert, he is Highly Skilled, Very reliable, Competitive pricing, Customer Focused, A Construction and; remodeling Professional who have completed my interior home remodeling project on schedule and right within budget!! I will definitely refer other prospective customers to him”. “Like all home owners, I attempted to fix a plumbing problem in my home. In my attempt, I damaged the house shut off valve for the water supply. I needed a company to handle problem immediately, and also capable of handling it if the problem grew any larger. I called Mr. Vassell of Norkal, and he came to my home within hours. Within few hours the problem was fixed and I had my water service with minimum down time”. I strongly recommend Norkal if you need a company for personal and reliable service.